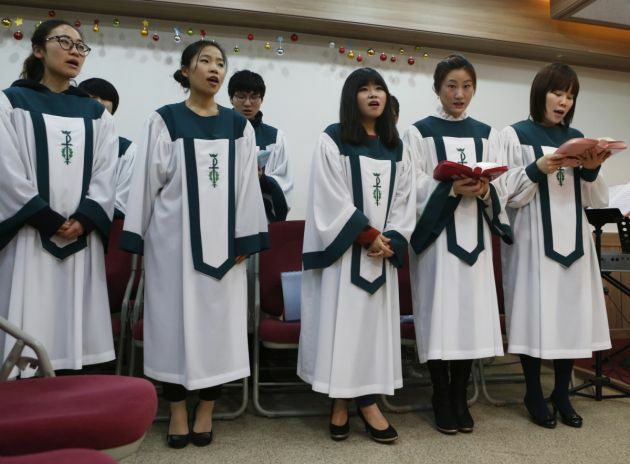 (Photo: REUTERS / Lee Jae-Won)North Korean defectors living in Seoul sing a hymn in chorus during a divine service held to pray for peace and reunification of the divided Korean Peninsula at a church in Seoul April 7, 2013. North Korea, angry about new U.N. sanctions imposed for its third nuclear weapon test in February, has made increasingly strident warnings of an imminent war with South Korea and the United States. A group of U.S. evangelical leaders and pastors have released a joint call for Christians everywhere to pray for peace on the Korean peninsula. The joint statement released on March 27 expresses concern for the millions of lives that would be threatened by an escalation of conflict there, according to the statement that was released by the World Council of Churches. The council released the statement from Evangelicals for Peace. Their statement came two day before the leaders of North and South Korea have agreed to meet face-to-face on April 27 in the hope of putting an end to diplomatic tensions. The summit between Kim Jong-un and Moon Jae-in comes after months of bitter dispute between the neighbouring States over North Korea's refusal to abandon nuclear testing in the face of international sanctions. "We are heartened by proposals for dialogue between our national leaders at a time when increasing tensions seemed to be marching our countries perilously in the direction of greater conflict, if not war," the statement reads. "We call on all Christians everywhere to join us in praying for a just and peaceful resolution." Signatories on the statement include leaders of the National Association of Evangelicals, Faith and Community Empowerment, Evangelicals for Peace, The Kairos Company and Evangelicals for Social Action, along with a politically diverse group of more than 80 evangelical leaders, from former Southern Baptist Convention presidents Ronnie Floyd and Jack Graham to Sojourners founder Jim Wallis. "We pray for wisdom for our political, diplomatic and military leaders as they work across differences toward a goal of peace, security and freedom," continues the statement. "We pray that God will bless the efforts of citizens who seek to bridge the vast differences between our countries." The statement notes that most of the nearly two million Korean-Americans are Christians, and many belong to evangelical churches. "This community too has contact with North Koreans through humanitarian and family ties," the statement reads. "South Korea is also home to many evangelical churches, including some of the world's largest." "This statement comes at a pivotal juncture", observed Peter Prove, director of the World Council of Churches Commission on International Affairs. "After months and years of escalating tensions and threats of war, a new moment of opportunity has arrived, with preparations for a high-level inter-Korean summit and a summit between the US and North Korean leaders now underway." The evangelical leaders who subscribed to the statement declare that "we do not view the North Korean people as our enemies"
They affirm that "people-to-people contact between North Korea and the United States... have put a human face on those who are sometimes characterized by one another as enemies." According to Prove "it is an encouragement to all political and religious actors who have sought and continue to seek dialogue and the peaceful resolution of tensions and confrontation in the region." WCC general secretary Rev. Olav Fykse Tveit praised the statement. "Across the world, may we feel inspired to make peace a shared Christian calling, and a dimension of our call to unity in our witness to Jesus Christ," Tveit said. 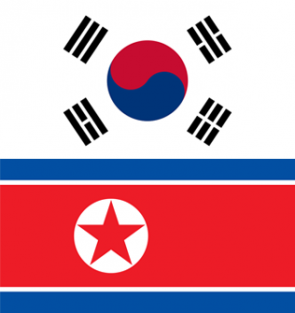 Jim Winkler, general secretary of the National Council of the Churches of Christ in the USA, said: "The Christian voice for peace on the Korean Peninsula clearly spans theological and ideological divides and offers a rare moment of near consensus at a time of global polarization among our political leaders."